Department of Industrial Engineering, Facuty of Mechanical Engineering, Jundi-Shapur University of Technology, Dezful, Iran. The purpose of this study is to provide a proper method for evaluating performance of teachers, which leads to authorities awareness about the quality and quantity of activities that are acceptable to the organization; also creating the grounds for empowering human resources, reduction of dissatisfaction, and complaints. This can result in eliminating discrimination or unfair judgments and therefore reduction of tensions, and conflicts between managers and employees. The Analytic Hierarchy Process (AHP) which was developed by Saaty is a decision analysis tool. It has been applied to many different decision fields. In this paper, we use AHP as a performance assessment tool to inquire diverse assessments in the organization about the performance of each employee. Since the number of the items to be compared in AHP is increased, the number of pairwise comparisons that each assessor answer, are increased drastically. So, we develop a method called EVMP to elicit the preference vector of pairwise comparison matrices with missing entries. The newly developed method is tested in a school; the generated results have been proved by experts. Alonso, S., Chiclana, F., Herrera, F., Herrera‐Viedma, E., Alcalá‐Fdez, J., & Porcel, C. (2008). A consistency‐based procedure to estimate missing pairwise preference values. International journal of intelligent systems, 23(2), 155-175. Bozóki, S., & Fülöp, J. (2018). Efficient weight vectors from pairwise comparison matrices. European journal of operational research, 264(2), 419-427. Bozóki, S., Fülöp, J., & Koczkodaj, W. W. (2011). An LP-based inconsistency monitoring of pairwise comparison matrices. Mathematical and computer modelling, 54(1-2), 789-793. Bozóki, S., FüLöP, J., & RóNyai, L. (2010). On optimal completion of incomplete pairwise comparison matrices. Mathematical and computer modelling, 52(1-2), 318-333. Chen, K., Kou, G., Tarn, J. M., & Song, Y. (2015). Bridging the gap between missing and inconsistent values in eliciting preference from pairwise comparison matrices. Annals of operations research, 235(1), 155-175. Chen, Q., & Triantaphyllou, E. (2001). Estimating data for multicriteria decision making problems: optimization techniques. Encyclopedia of optimization, 567-576. Chiclana, F., Herrera-Viedma, E., Alonso, S., & Herrera, F. (2008). A note on the estimation of missing pairwise preference values: a uninorm consistency based method. International journal of uncertainty, fuzziness and knowledge-based systems, 16(supp02), 19-32. Choo, E. U., & Wedley, W. C. (2004). A common framework for deriving preference values from pairwise comparison matrices. Computers & operations research, 31(6), 893-908. Ergu, D., Kou, G., Peng, Y., & Zhang, M. (2016). Estimating the missing values for the incomplete decision matrix and consistency optimization in emergency management. Applied mathematical modelling, 40(1), 254-267. Fedrizzi, M., & Giove, S. (2007). Incomplete pairwise comparison and consistency optimization. European journal of operational research, 183(1), 303-313. Harker, P. T. (1987a). Alternative modes of questioning in the analytic hierarchy process. Mathematical modelling, 9(3-5), 353-360. Harker, P. T. (1987b). Incomplete pairwise comparisons in the analytic hierarchy process. Mathematical modelling, 9(11), 837-848. Kou, G., Ergu, D., Lin, C., & Chen, Y. (2016). Pairwise comparison matrix in multiple criteria decision making. Technological and economic development of economy, 22(5), 738-765. Kwiesielewicz, M. (1996). The logarithmic least squares and the generalized pseudoinverse in estimating ratios. 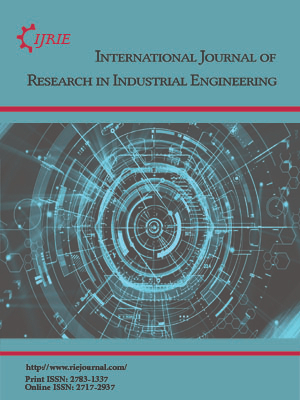 European journal of operational research, 93(3), 611-619. Oliva, G., Setola, R., & Scala, A. (2017). Sparse and distributed analytic hierarchy process. Automatica, 85, 211-220. Shiraishi, S., Obata, T., & Daigo, M. (1998). Properties of a positive reciprocal matrix and their application to AHP. Journal of the operations research society of japan, 41(3), 404-414. Siraj, S., Mikhailov, L., & Keane, J. A. (2012). Enumerating all spanning trees for pairwise comparisons. Computers & operations research, 39(2), 191-199. Wedley, W. C. (1993). Consistency prediction for incomplete AHP matrices. Mathematical and computer modelling, 17(4-5), 151-161. Farias, L. M. S., Santos, L. C., Gohr, C. F., & Rocha, L. O. (2019). An ANP-based approach for lean and green performance assessment. Resources, conservation and recycling, 143, 77-89. Kyriakidis, M., Majumdar, A., & Ochieng, W. Y. (2018). The human performance railway operational index—a novel approach to assess human performance for railway operations. Reliability engineering & system safety, 170, 226-243. Liu, C. C., Wang, T. Y., & Yu, G. Z. (2019). Using AHP, DEA and MPI for governmental research institution performance evaluation. Applied economics, 51(10), 983-994. Pipatprapa, A., Huang, H. H., & Huang, C. H. (2018). Enhancing the effectiveness of AHP for environmental performance assessment of Thailand and Taiwan’s food industry. Environmental monitoring and assessment, 190(12), 748. Zhou, X., Hu, Y., Deng, Y., Chan, F. T., & Ishizaka, A. (2018). A DEMATEL-based completion method for incomplete pairwise comparison matrix in AHP. Annals of operations research, 271(2), 1045-1066.